Convenience, portability, and ease of use. 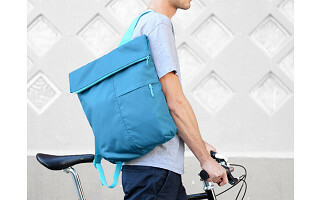 That’s what Hetal Jariwala and Eva Bauer had in mind when they came up with the flip & tumble Market Tote and Cross Body Bag—carryalls that fold into next-to-nothing when not in use. Thanks to a variety of bright, bold colors and its ability to roll up into a 3” ball for storage in your pocket, glove compartment, or purse, the Market Tote is reusable bag that won’t soon be forgotten. 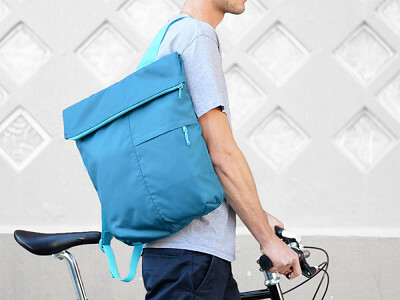 Designed to hold up to 35 lbs., it can carry more groceries in one load than you may expect. 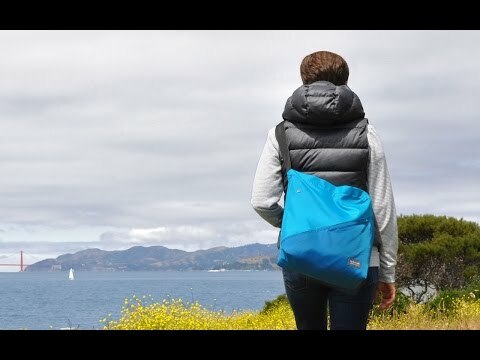 Man, woman, or child, the Cross Body Bag provides hands free convenience for everything from traveling to running errands, commuting, and after-school activities. An adjustable strap makes it easy and comfortable to wear multiple ways whatever your height and size. 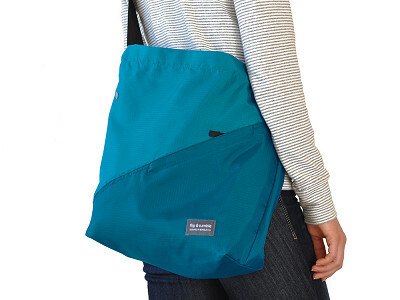 Made of lightweight, yet durable ripstop nylon, the Cross Body Bag can accommodate up to 35 lbs. and includes a zip-top closure, easy-reach outer pocket, and a compact carrying pouch that doubles as an interior snap-in pocket. 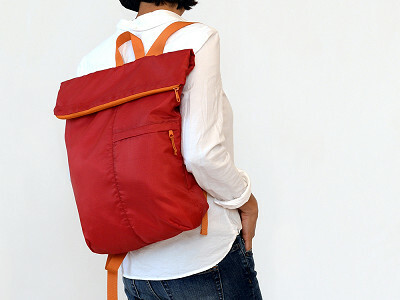 These carry-anything, carry-everywhere solutions are sure to handle whatever your day holds. 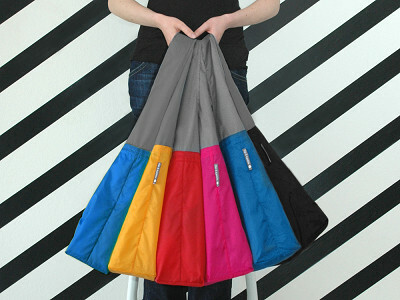 A reusable bag that folds into itself making it perfect for trips to the grocery store and traveling.